Perishable goods are highly specialised and require extra levels of care and attention. With extensive experience in this area, Brunel Shipping are experts when it comes to arranging shipping, customs clearance and delivery of these products. We have a key understanding of the various logistics and temperature controlled issues that come with cool chain and supply chain management operation. We provide a full range of services to ensure the proper conditions and compliance of a vide range of perishables across the supply chain. With carefully chosen partners we can service the food and beverage industry from origin to destination by working with our air freight and road freight divisions and by planning the most economical and cost-effective routes for each shipment. Brunel Shipping’s unrivalled service helps prevent downtime in the supply chain process. Shipments are monitored, tracked and actioned by a dedicated member of our team. Communication is maximised with the client to ensure that you are fully aware of the status of each shipment throughout transit. 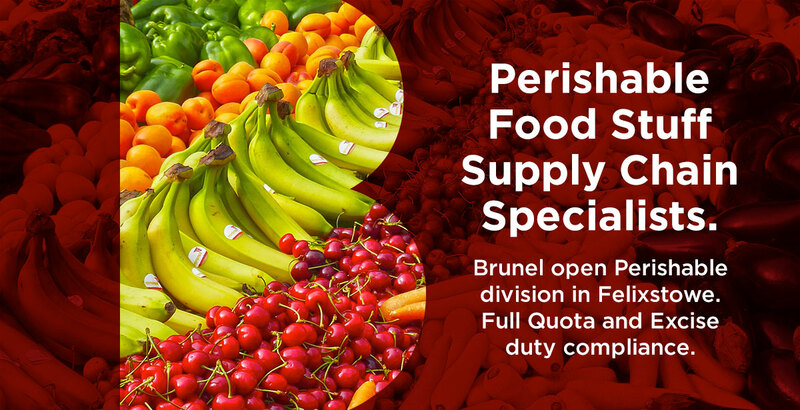 If you would like to discuss your temperature controlled logistics and shipping requirements, either call or email our perishables division on simon@brunelshipping.co.uk or +44 (0) 1394 276192.